We will try for once to discard the monolithic cohesion of our peaceful blog. 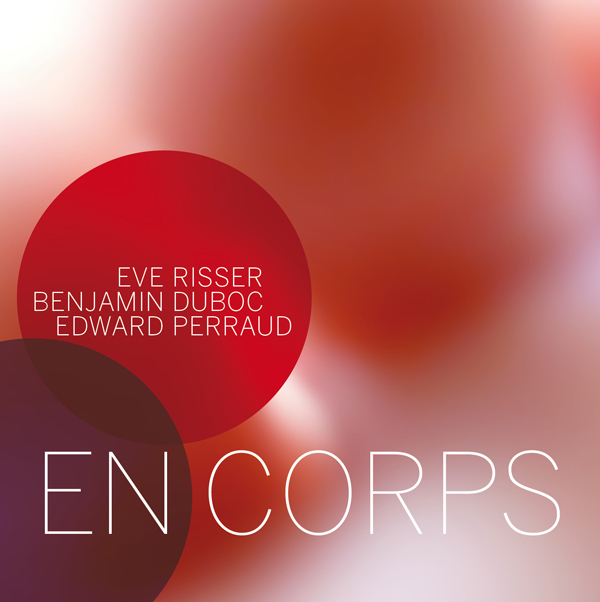 We don’t like Eve Risser's "En Corps" (Bang!). Or better, we don’t think it is that much of an album. Pleasurable, laden with tension and well played, but what else? Its presence could even be accepted in the "2012 Best Album List" because, as ancient Romans loved to say, “de gustibus non est disputandum” (and we totally disagree with this). But its position in the 2012 most innovative albums list (and actually winning the contest)? What do we have in “En Corps”? There’s for sure an interesting use of the contrabass, nervously and perpetually bowed, matching to a precise, crescent presence of the drums; the idea of this anxious, recursive and never interrupted piano pattern on the low register - especially in the first long track - and then sudden, meaningful short inlays on the high register. 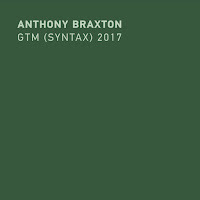 Basically the three musicians are really inspired and they focus pretty well on a coherent and tight-knit development of the musical structure, both in its saturation moments and in the deflation of its peaks to introduce new variations. Should we really find an Achilles’ heel, probably exactly this systematic up & down (crescendo and diminuendo) is even too repeated in “Trans”, the first 35 minutes long piece of the record. And despite our being lovers of encores, that’s exactly what the second track sounds like. Last but not least the album is masterfully recorded and mastered. In general, we only have lots of words of appreciation for this work. 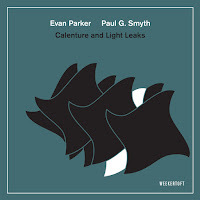 This is definitely free music in its approach (so far Parker’s definition fits) and this aspect is well enhanced by the fact that you can repeatedly listen to it without developing a feeling of tiring familiarization. But still we can’t see the miracle, the masterpiece. Is this reductionist approach such an innovation? Although we find that the album creates an interesting atmosphere, it looks as if it has been overrated. If it has to be a piano trio why “En Corps” and not “Cousin It” by Maya Dunietz? Or Niggenkemper/Nabatov/Cleaver’s “Upcoming Hurricane”? Or Levity’s “Afternoon Delights”? Or Matthew Shipp’s trio? Where is the magical moment on this album? Sometimes it sounds like driving with the emergency brake on. Isn’t Stian Westerhus more innovative improvising with unconventional techniques and including the natural feedback of the venue where he’s playing in the composition? What about Eli Keszler and his self-built mechanical devices coexisting with players? Or why don’t we appreciate the groundbreaking experiments with phonemes that Nate Wooley faces in “ Syllables”? Well, you could argue that it's impossible to quantify the innovative level of an album, and hence compare musicians. And usually really innovative musicians are the ones at ease both with adventurous paths and with traditional knowledge. Wooley is again a good example, but let us remind you that almost forty years ago Lou Reed released “Metal Machine Music ” just few years after “Transformer”. But still, if we have the privilege to express our opinions on music, we must find some common elements to allow for comparison and communication. Otherwise sharing thoughts about it is pointless. It can’t be just about personal tastes. On the other hand 150 people and the clear majority of our fellow reviewers (only Paul, Ananth, and the two of us don’t have it in our Top Ten) can’t be wrong. Can they? Looking forward to hear your copious and discordant voices. First, let me thank Paolo and Martin for opening this debate because I think it's one worth having. Second, their reaction also demonstrates that this blog does not favour special styles or subgenres or schools of thought. We have no "editiorial line" as this is usually called. We favour freedom of thought and expression and the collision of ideas just as we also enjoy the collision of sounds in music, as the basis of a richer outcome. Paolo and Martin, as you say from the start : it is difficult to argue about taste, yet you conclude that there must be some common traits otherwise communication in words about it is impossible. I am not a music theorist, nor do I aspire to be one. My reference is the personal listening experience, that's where it starts - and possibly ends. I can try to rationalise that experience and explain why I like the music, but that will always be a meager reflection of my feelings when listening to it. 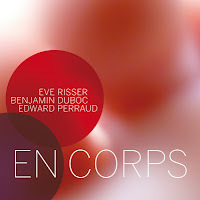 If I compare my listening experience from Eve Risser's "En Corps" with the other albums you mention, I can only say the following. I have rarely listened to an album that manages to restrict its use of notes to a minimum, while at the same time creating a huge boiling mass of acoustic sound that engulfes you from the very beginning, carries you along and drops you off exhausted at the end. I think it is this unavoidable physicality of it that makes "En Corps" unique. I have no words for this. Its vision is singular, relentless and without compromise throughout. Both Risser and Duboc limit their number of notes to a minimum, and you could say they borrow from the minimalist school. What they add to this, is this incredible exuberance of pulse and hypnotic repetition, with Perraud doing a great job here, which takes it completely out of minimalism, but rather in the area of "maximalism" if that term exists. If minimalsim is usually intimate, this album is as expansive as it gets, or almost. As you rightly point out, it's this effect of "driving with the brakes on" that creates the required tension between restraint and abandon, between holding in and letting go. 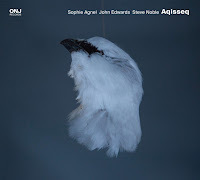 The innovation lies exactly here, in the mix of the two, in this minimalist expansiveness, something I have not heard before, a paradox that I have not yet experienced musically before. That's where the music gets its incredible tension from. And that makes it innovative. You can argue about the level of complexity, about pushing the boundaries of each of the artist's technical toolkit, of playing with timbre, arranging instruments, of use of phrases and melody and sound and rhythm. Yes, experimentation is necessary, but at the end of the day it's about the music itself, they way it is presented and perceived by the listener. The complexities of innovation as such should not necessarily be understood by the listener, they should be experienced (rational choice by the artist versus emotional reception by the listener). Experimentation is a technical thing (or formal or structural if you wish). Innovation a musical thing. The "how they do it", is always at the service of the "what it does to me". You can use "known" elements, and create a new universe with it. You can also use unknown elements, and create no universe at all. I can cite numerous albums by artists who try stuff that "doesn't work" (at least to me) ... and actually I have piles of them here. It's exactly in the interaction between artist and listener that the innovative nature of the music becomes evident. The musician needs the listener to understand whether the formal, technical trial somehow touched an emotional chord that makes you want to listen again (starting with themselves, of course). Without an audience, there is no innovation. We created the HAPPY NEW EARS AWARD to allow both reviewers and visitors to the blog to select what they thought was their most innovative listening experience, clearly emphasising the listener's viewpoint, not the artist's use of novel ingredients. I also had albums on my list that did not make it to the final list that was voted for, because we asked which albums should figure on the list and we tried to integrate this input. Some of the albums you mention are on the shortlist. I hope that they will receive more attention because of this competition, which of course has its drawbacks and limitations. We all know that. It's just a fun way of giving innovation some more dedicated attention. There are no criteria for innovation, because that would be a contradiction. We can only add subjective experiences of individuals who find something innovative, as compared to their previous music experience. On a side note: I do not think Lou Reed's "Transformer" (1972) was innovative, nor do I think that his "Metal Machine Music" (1975) was innovative either, but his "Berlin" (1973) for sure was, in its intimate dark degenerate sadness, and coherent at that, music like a deep open wound. Like lots of so-called innovation, "Metal Machine Music" was a musical statement - like John Cage's "4'33""or even a political statement, like lots of political avant-garde art that is made to shock, and these acts have their place too, also in jazz. But it's not because it's extreme that it's innovative, in my opinion. Even Lou Reed admitted he never listened to "Metal Machine Music" in its entirety. The innovation is only when you make it relevant to an audience that appreciates it, when you turn experiment it into Art, into something meaningful. But that is really an opinion based on personal taste. I hope there are no fixed criteria for this. Other opinions are more than welcome! "... 150 people and the clear majority of our fellow reviewers (only Paul, Ananth, and the two of us don’t have it in our Top Ten) can’t be wrong. Can they?" The answer to that is, we will never know. As someone who is studying musicology I learnt very early on that leaving your personal taste out of the argument helps see music in many different ways. Maybe one has to ask 'what did everybody hear that I didn't?' I also realise that it often takes many years to understand if something is 'great'. But since this is a fun competition we don't really have either the time, nor the patients, to wait 100 years to see how this album stands up to the test. If you look around the internet you can find plenty of visceral reactions to music, just read the comments on youtube, or read one or two music bloggers who like to give an opinion. Most of these remarks don't really bare any weight other than a personal opinion that is often biased or tainted. I also didn't vote for Eve Risser as the album of the year, but she was in my list of top albums. I put her into that list as the album, her playing, the group, is very musical, one could say they really play together as a group. That for me is already something very important. As for 'Stian Westerhus' - who sounds fine - I would be interested to know what makes you think it's more innovative than Eve Risser? After all there are several other guitarists out there that deserve that accolade before Stian Westerhus. But I guess as I already said,we will never know. Thanks for the article, it always makes great reading to see how different people react to music. Thanks Joe. I think you're right ... time will tell. Yet I think that's also a little bit our role, to raise unknown but innovative music above the radar level, so that at least it gets some traction in the wheels of time. Clearly the only way to settle this is with a steel cage match! It will be a free jazz first. I can't say anything about which is better, since I haven't heard the Stian Westerhus album. (I know, shame on me.) But I find this discussion fascinating, and as a longtime reader of this blog, wanted to say a bit. My favourite album of the year was En Corps. No other album I listened to gave me as much pleasure and at the same time challenged me in terms of how I thought about music. No other album gave me so many moments of just forgetting where I was and what I was doing. So my reaction was somewhat visceral and so a bit hard to put into words. But I'll try. I've become fascinated over the last year or two with a type of music that Stef has dubbed "Silencescape". Some of my favourite albums recently reviewed here have been Muringa-The Unknown Knowns and Silencers - Balance des Blancs. It sounds to me like the percussive minimalism of some of Steven Reich's music, but improvised, and the improvising is so subtle I almost find myself sitting forward trying to hear everything that is going on. It's pretty much the diametric opposite of, say, Fire! (who I also love). One of the reasons I like improvised music so much is the amazing range of styles it covers. Listen to "In the Mouth a Hand" and then "Suite Pour Machines A Meche". At first I thought that En Corps would fit within the silencescape framework, and it did, but there was also something more powerful happening at the same time. For the life of me, I couldn't put it into words, but Stef nailed it with "incredible exuberance of pulse and hypnotic repetition". That's the added ingredient that pushes it over the top for me. I have no doubt this album will be on my playlist for a long time to come. Having said all that, when it came to voting, I actually voted for Bobun! I did so in part because it was immediately obvious that En Corps was going to win by a wide margin, but also because I thought Bobun was something really special. And as Stef said in his introduction to the award, it's the most innovative listen, which may not be the same as your favourite. I love the idea of improvised chamber music, and I think that Loriot and Vincent created a beautiful version of it. I'm very anxious to see where those musicians go next. First of all I wish everyone a happy New Year full of great music! I was out of town for some days and unable to take part to this dialogue. Thanks to Stef for the detailed explanation about "En corps" that it is exactly what I was looking for. The premises of our “call for debate” was right that, although we considered "En corps" as a good work, we could not see which criterions were adopted to compare it with other releases (you’re right Richard, the pretty wide range of outputs that improvisation produce is one of the first difficulties we find in analysing this music) and which are the elements that mostly caught the attention of so many people (that obviously can be different and for several and many personal reasons). I now can compare these aspects for example to the effect that the last Paradoxical Frog’s album had on me. I find more obstacles doing that whit an album like "Instrumental Vol.1" where Wooley and Evans take their instruments as a trampoline to explore new sound possibilities. And there is here a new side too of judging an album. Of course I like to be enraptured by a warm or frantic dialogue as the one between Sorey, Laubrock and Davis or Risser, Duboc and Perraud in some moments of my life. Other times I need to be challenged from something that I can’t understand at first, something that obligates me to an effort to interpret (in a key of lecture for me valid, not necessarily for the author that in some way loses his “possession” on what he has given to the listener). I want to underline here that being enraptured by something “warm” or challenged by something “hard” does not imply any cultural judgment. Don’t misunderstand my intentions. Analysing and judging is often an anarchic process. It implies listener’s availability to different kind of listening experience. But listener’s availability to listening is already an ever-changing process. So, what we have back is something that, more than difficult to rationalise, it difficult to compare with other’s similar experiences. That’s why - and I know it can be contradictory - I disagree instead about the affirmation that without an audience you don’t have innovation. We take here the risk of this kind of false philosophical problems a la Columbus’s egg (or if no one is in the forest, do you still hear the noise of a tree falling?). As a listener I could understand it, but not a music lover, nor as human genius supporter in general. The act of create, innovate or just produce some art (and we should start here a debate about what we consider or perceive as art) is also a personal, “incommunicable” and solipsist act. Its value can’t be diminished if no one is there around to give importance to it. Yet, the pool has been interesting and necessary. And this has been the right way to do it. With many different albums and many different personal tastes. Having the chance of judging someone else’s art in a common arena must include the acceptation and comprehension of other’s points of view. Variety is always wealthy. My note about Lou Reed. "Transformer" is a great rock album and it doesn’t need to be innovative. Stef's brief description of "Berlin" is perfect and it has been for sure a nodal album even for a lot of music to come after (I’m thinking to the so called apocalyptic folk of Current 93 and to Death in June, just to name few, but it has been a “popular” genre in the last two decades). There’s instead a vast mythology of interpretations about MMM, often nourished as well by Lou Reed’s contradictory declarations about it, as you can read in the supreme Lester Bangs’s review “The greatest album ever made”. Personally I still believe that it can’t be seen just a statement about music or politics (but actually I find difficult doing it even for Cage’s 4’33’’). Considering how much industrial and noise music has been able to hybridize itself through many shapes in almost every known genre (excluding the ones willing to prevent it), an album as MMM deserves the maximum attention, not just for its being hard under any point of view, but also for the musical structure (anything but unaware) behind it. God bless the feedback! What I meant quoting the long and varied Reed’s discography is that, even for the same artist, each production has obviously to be analyzed in relation to the genre it more or less belongs to, to the moment of its release, to the intentions of the author. I could say the "Punk in Drublic" by NoFx has been a ground-breaking album in the nineties Californian punk-core comeback, but this doesn’t mean I would consider it as fundamental for the history of music. An excellent album, and one that I find endlessly fascinating. it's just a thought, but isn't all this 'top 10 improv albums of the year' and 'who's the most innovative improviser' a bit contrary to the spirit of mutual cooperation and musical exploration that has lead to the creation of this music? This is improvised music we're talking about here, not the Olympic Games. I've been playing improvised music for over 20 years and have rarely, if ever, encountered a musical situation where people were trying to be more innovative than each other or compete to be the best. All we try to do is create sounds that seem to fit the moment and try to venture into new territory to prevent stagnation and satisfy our own musical needs. If there's a problem with free improvisation these days, it's that it seems to have become a genre, a style of playing - a way of doing things that people adopt, rather than the razor sharp musical interplay and personal musical journey that it used to be in the 70's or 80's. The innovators of the past grow stale with age and some of the younger players seem all too eager to adopt the methods that have already been set in stone - 'hey, lets go plink plonk'. Thanks for the recommendation, Joe. I've put it on the list. Thanks for your remarks Dave. From what you say it sounds like you're having the same reaction to improvised music that mainstream 'hard-bop' players had/have - i.e. It was better in the old days. Maybe it was, but what you're seeing is a growing interest in improvised music by younger bands/musicians. This can only be a good thing. 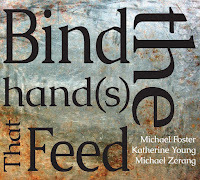 It would be difficult to write a long article here, but one has to see the prog or alt-rock scene as part of that. 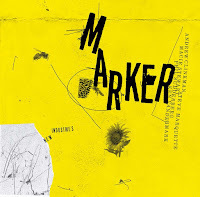 The whole 'Rune' label direction with groups such as Supersilent, or David Sylvian's interest in noise working with musicians as Evan Parker, Toshimura Nakamura or more collective groups such a BEAST are all part of this growing movement. However, this is all part of the development of music, something that won't stop and continues to change. As for the competition, it's just a bit of fun. And it's interesting to read (from our readers) what records they most enjoyed this year. As for who's the best, that would be a silly argument that is unanswerable, after all there is no best. Thanks again for your reflections, most interesting. Thanks for your opinion Dave. I see your point, and I think that it's true that maybe we should focus less on the musician and more on the musical output. I'm not instead completely persuaded of these approaches sounding as "everything has been already tried and made, so why bother" or "improvisation is pure istinct that burn in the moment". Obviously improvisation can't be categorized or linked just to one genre. Beside I believe the many great artist - sometimes just if asked, some other on their own - are also great theorist of music and the ones more credited to explain to everyone else the principles of this great art. You rightly invited us not to have blinkers on the absolute value of improvisation, so I think that you could apply the same attitude to the Manichean conception of "I play, so I don't write about it". "it's just a bit of fun" - that's a phrase that's been used to excuse all kinds of dubious activities... choose your words with more care..!! If someone has a better explanation for such 'picks of the year' I'd like to read their suggestions. 'A bit of fun' is a fair explanation, as I mentioned it's impossible to say any one album is better than any other album, it's just subjective. With this poll it's a way of giving people a general view of what our readers liked best over the year. This, if you read some of the comments, gives people some fresh ideas of albums that could be interesting to hear. As a writer on the blog I get to hear a lot of music that comes our way, some things I've been immediately attracted to, other things have taken time to sink in (or not). However, by reading polls, and looking at what other people suggested, I've discovered loads of great music that I hadn't always thought to check out. Finally I should add that I also find Creative Sources an interesting label. In fact due to your interesting remarks on the Creative Sources album 'White Smoke' I've already been browsing their music via soundcloud, thanks for the tip. As you may have noticed, I'm not completely sure that subjectivity should have this central role in the evaluation of an album - and I'm talking of the evaluation that you may express in a review, of course not if you're chatting with your friends about personal tastes (that is for sure equally important). By the way I instead completely agree with Joesh about the fact that this voting has been fun and useful at the same time. What else could a pool about the best year release on a Free Jazz blog be? By 'subjective' I simply mean it's a matter of personal taste. Have a look at anyone's record/music collection, you may find very large differences. If everyone had the same taste in music it would be a terribly dull world I suspect? I really agree with you Joesh. It was just the continuation of our debate about approach to reviews. I don't want you to misunderstand me. I really appreciate our differences in the blog because so often they have taken me to new musical fascinating discoveries. I thank all of you for these. Then it is maybe true that I always come back to my "safe place" but still this fact has an incomparable value for me.